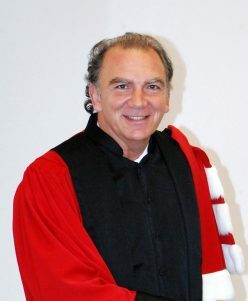 Godfrey BALDACCHINO: PhD (Warwick), BA (Gen.) (Malta), PGCE (Malta), MA (The Hague) is Pro-Rector for International Development and Full Professor of Sociology, Department of Sociology at the University of Malta, Malta. He is also UNESCO co-Chair in Island Studies & Sustainability. He is Editor Emeritus of Island Studies Journal, now indexed in Web of Science. For ten years (2003-2013) Baldacchino served as Canada Research Chair in Island Studies at the University of Prince Edward Island. He has also served as Visiting Professor of Island Tourism at the Universita’ di Corsica Pascal Paoli, France (2012-2015). He was Member and Chair of the Malta Board of Cooperatives (1994-2003) and core member of the Malta-European Union Steering & Action Committee (MEUSAC). In 2014, he was elected President of the International Small Islands Studies Association (ISISA) and, in 2015, he was elected Chair of the Scientific Board of RETI, the global excellence network of island universities. As of 2016, Prof. Baldacchino had (co-)authored 22 books, reports and monographs; (co-)edited or guest edited another 27 and has authored, since 1993, 130 peer-reviewed journal articles or book chapters. 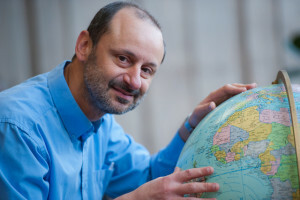 Apart from English and Maltese, Professor Baldacchino’s work has also appeared in French, German, Italian, Japanese, Korean, Portuguese and Swedish. David BARKER: PhD (Bristol), Diploma in Urban & Regional Studies (University of Birmingham); BSc Econ (Aberystwyth) is Emeritus Professor at the Mona Campus of the University of the West Indies in Jamaica. He joined that institution in 1980, advanced to the position of Professor of Geography in 2005, then became Emeritus Professor in 2015. He was Head of Department from 1994 to 1996, and from 2005 until his retirement in 2012. He has co-authored/co-edited eight books, and published more than 60 peer-reviewed articles and book chapters. He has co-organized many international conferences, including six meetings in the British-Caribbean Geography Seminar Series spanning a period of more than 20 years. The output of the series included five peer-reviewed edited volumes on small island developing states in the Caribbean, published by UWI Press, and seven special issues of the journal Caribbean Geography. Professor Barker’s research has focused on Caribbean small-scale farming as a way of understanding the interactions between agricultural systems, rural development and tropical environments, most recently examining food security and sustainable rural livelihoods in Jamaica and other Caribbean islands. He was co-founding editor of the journal Caribbean Geography in 1983 at UWI and continues as its Managing Editor, an editorial labour of love of more than 30 years’ duration. He is a past-President of the Jamaican Geographical Society, and has been active on its Executive Council for over 35 years. He also has a strong professional interest in curriculum development at the tertiary and secondary schools levels. Geoff BERTRAM: DPhil Economics (Oxford), MPhil Latin American Studies (Oxford), BA Honours Geography (Wellington) is an Adjunct Research Associate at the Climate Change Research Institute and a Senior Associate of the Institute of Policy Studies, both at Victoria University of Wellington, 2010 to the present. 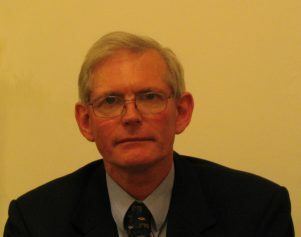 His research interests include regulation of public utility industries such as electricity, gas and telecommunications; economic and political development of small island societies with a particular focus on the Pacific; the design of policies to address climate change; and the long-run evolution of the New Zealand economy. He has over 100 publications including more than 50 peer-reviewed journal articles, books and book chapters, including The Carbon Challenge: New Zealand’s Emissions Trading Scheme, co-authored with Simon Terry (Bridget Williams Books, 2009). Lino BRIGUGLIO: PhD Economics (University of Exeter, UK), Special Diploma in Social Studies (University of Oxford), Honours and Master’s Economics (University of Malta) directs the Islands and Small States Institute at the University of Malta. He was formerly Head of the Economics Department and of the Banking and Finance Department of the University of Malta and Director of the University’s Gozo Campus. His main area of interest is islands and small states studies, in particular economic aspects, and he has authored many publications on this subject. He is known internationally for his seminal work on the “Vulnerability Index” and pioneered studies on measuring economic resilience. He has a keen interest in competition economics and is currently a member of the Appeals Tribunal for Competition and Consumer Affairs, a judiciary panel appointed by the Government of Malta. 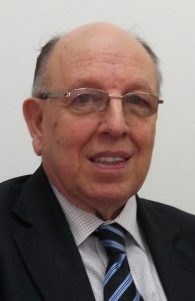 Professor Briguglio is editor of Bank of Valletta Review published by the Bank of Valletta and also serves on the editorial boards of a number of other journals. For a time he was the General Editor of the Islands Series published by Cassell-Pinter, London. He has acted as consultant to several international organizations including the UN Department of Policy Coordination, UNCTAD, UNDP, UNEP, CARICOM, the Commonwealth Secretariat and SOPAC. He has also represented the Maltese government in many United Nations meetings, including the UN Global Conference on the Sustainable Development of Small Island States and the World Summit for Sustainable Development. He is one of the lead authors for the chapter on Small Island States of the Fifth Assessment Reports of the Intergovernmental Panel on Climate Change and is a member of the Malta Climate Change Consultative Council. Leo-Paul DANA: PhD (Ecole des Hautes Etudes Commerciales, Montreal), BA and MBA (McGill University) is Research Professor at Montpellier Business School and Marie Curie Fellow at Princeton University. He formerly served at the University of Canterbury and prior to that as Visiting Professor of Entrepreneurship at INSEAD and Deputy Director of the International Business MBA Programme at Nanyang Business School, in Singapore. He has published 36 books as well as 270 peer-reviewed articles mainly in the areas of economic development, entrepreneurship and issues of island economies. 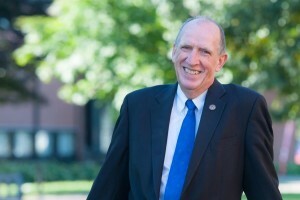 His work has appeared in a variety of leading journals including the British Food Journal, Cornell Quarterly, Entrepreneurship & Regional Development, Entrepreneurship: Theory & Practice, International Small Business Journal, Journal of Small Business Management, the Journal of World Business and Small Business Economics. Robert GREENWOOD: PhD Industrial and Business Studies (University of Warwick, England; Commonwealth Scholar and Institute of Social and Economic Research Doctoral Fellow) is Executive Director, Public Engagement for Memorial University and of The Leslie Harris Centre of Regional Policy and Development. 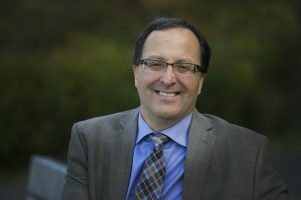 He has operated his own consulting business and has served as a Director and Assistant Deputy Minister of Policy in Economic Development departments in Newfoundland and Labrador and in Saskatchewan. He was Vice President, Corporate Development, Information Services Corporation of Saskatchewan, and was founding Director of the Sustainable Communities Initiative, a partnership of the University of Regina, the City of Regina and the National Research Council of Canada. He was Newfoundland’s representative on the International Advisory Board of the North Atlantic Islands Program and co-edited Competing Strategies of Socio-Economic Development for Small Islands (Island Studies Press 1998) and Remote Control: Lessons in Governance for and from Small, Insular and Remote Regions (ISER 2009). 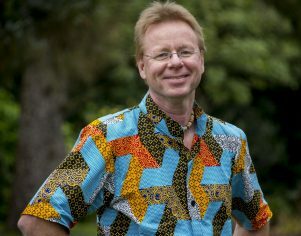 Warwick MURRAY: PhD (University of Birmingham), BSocSci Geography and Economics (Unversity of Birmingham) is a professor of human geography and development studies in the School of Geography, Environment and Earth Sciences at Victoria University of Wellington, New Zealand. He has taught at the Univesity of the South Pacific and Brunel University, and has won several teaching awards, including the NZGS President’s Award for Excellence in Graduate Supervision. Dr. Murray is the founding and current director of the Victoria Institute for Links with Latin America, the co-president of the Association of Iberian and Latin American Studies of Australasia, Strategic Editor of Asia Pacific Viewpoint, Geography Compass, and New Zealand Geographer. He has published over 100 books, articles or chapters in the fields of development, rural and economic geography, and is the co-author of the textbook, Geographies of Globalization, with Professor John Overton. His research focuses on globalization, inequality and social injustice, comparative political economy, resource peripheries and the global economy, neoliberalism and development in Chile, New Zealand, Fiji, Tonga and Niue and the Asia Pacific. He is also a musician and singer-songwriter, and was featured in the four-part radio program broadcast on National Radio New Zealand, The Singing Geographer. 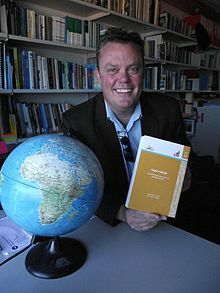 John OVERTON: PhD Geography (Cambridge University), MA (University of Canterbury) is a professor of Development Studies in the School of Geography, Environment and Earth Sciences at Victoria University of Wellington, New Zealand. He has previously held academic positions at Massey and Canterbury Universities in New Zealand and the Australian National University and the University of the South Pacific. His research focuses on aid and development, with particular regard to New Zealand and the Pacific Islands region, and on wine, place and capital. He is the co-author of the textbook, Geographies of Globalization, with Warwick Murray, and has published over 150 articles and book chapters. He and co-authors are about to publish a book with Routledge on aid and sovereignty in the Pacific Islands. 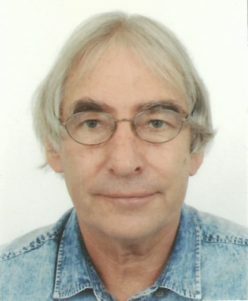 Gerard PRINSEN: PhD Development Studies (Massey University) is Senior Lecturer in Development Studies, School of People, Environment and Planning, Massey University, University of New Zealand. He started working at Massey University in New Zealand in 2007 after a professional career in international development agencies in Africa, which took him through various positions working with local education and health authorities in remote areas of Botswana, Mozambique, Uganda and Tanzania. As a Dutch citizen, he was appointed honorary consul in Mozambique’s northern region. Later, he contributed to an evaluation commissioned by the Dutch parliament into the effectiveness of Dutch development aid to local governance in Africa. James RANDALL: PhD (University of Washington, Seattle), MA & BA (York University) is Professor of Island Studies at the University of Prince Edward Island (UPEI), Canada. His background training is as an economic and social geographer. In 2016, Professor Randall was named UNESCO co-Chair in Island Studies & Sustainability. Since 2012, he has served as Coordinator of the Master of Arts in Island Studies program and the undergraduate Island Studies Minor at UPEI. He is also the Chair of the Institute of Island Studies at UPEI, a research centre with a mandate to engage with the public and other island scholars and institutions to build capacity regarding issues relevant to small islands, both on Prince Edward Island and around the world. Since joining the Island Studies program at UPEI, he has written on quality-of-life issues and sustainability on small island jurisdictions, as well as biotechnology-based entrepreneurship on Prince Edward Island. He is currently writing an introductory undergraduate Island Studies textbook. 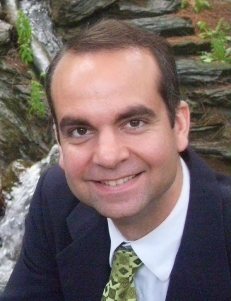 David REZVANI: DPhil (Oxford University) is Resident Research Scholar at Dartmouth College. He is the author of Surpassing the Sovereign State: The Wealth, Self-Determination, and Security Advantages of Partially Independent Territories (Oxford University Press, 2014). He is now completing a second book manuscript on partial independence entitled Enclave of Freedom: Autonomous Hong Kong in Authoritarian China. His work has appeared in publications such as the Political Science Quarterly, Journal of Contemporary Asia, Ethnopolitics and Territory Politics Governance. He has previously taught at Harvard University, MIT, Oxford University, Trinity College and Boston University. He has held research fellowships at Harvard University’s Kennedy School of Government and has won research grants from Harvard University, Oxford University, Trinity College, the Smith Richardson Foundation, Boston College and Hong Kong University.